What's your brand? Is worrying about it going to increase your sales? What is translating marketing on Instagram into sales? 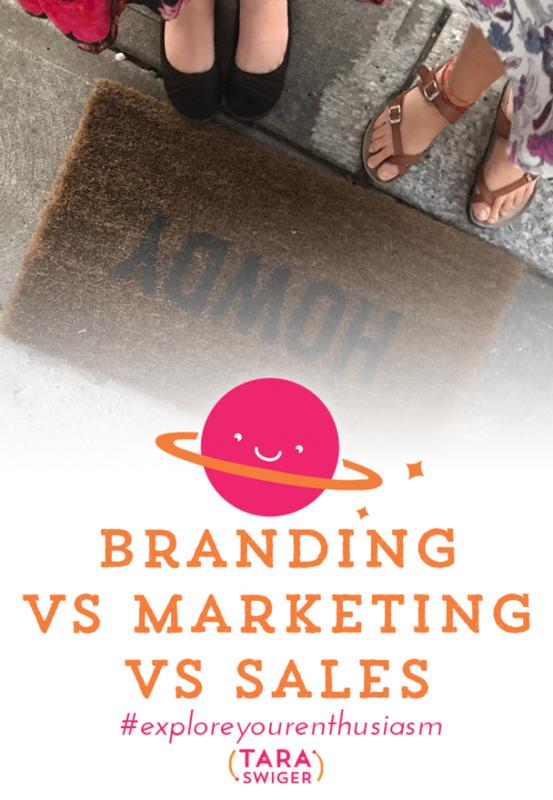 Today we're going to talk about the difference between branding, marketing and sales, as it's related to your small business. A few weeks ago we talked about increasing sales through marketing on Instagram and then I was talking with a Captain about being sure they were spending their time on SALES, not just on Branding. It got me thinking, there's an important distinction between Branding and Marketing and Sales, and we don't talk about it a lot. In a big a business, these three things are clearly separate, there are different people in each department. But in your small business, you're doing it all. And in different businesses, they have different weights, …. The vibe of your business. Your brand is the answer to the question: “How do people think about your business? How does your business makes people feel?” When they see it, they know it's yours, because it's your branding. It's the visuals, the tone of voice, the kind of media you use, and how you show up. This is super important in a business that sells commodity – in other words, the same thing as similar businesses. For example, a comic shop sells the exact same comics and uses the exact same distributor as every other comic shop. So the branding is EXTREMELY important to help it stand out. For a shop, the branding is going to be how the shop makes you feel – the customer service, the vibe of the shop, the events and activities going on. Everything from the staff you hire, to the comics you highlight, to the way you treat customers – that's all going into the way your customers feel about you. Now, before we dive into this, I want to be clear about something. In all areas of your business, you're going to be authentic and honest. Just because you THINK about something and decide something, doesn't make it inauthentic. I think makers get confused about this because they think: I'm going to be myself and any amount of being strategic isn't authentically myself. No no no. The goal of effectively branding your small business is to find the brand that flows authentically from you. But to also be aware of it and intentional with it. So you're not just providing amazing customer service in your shop because it's what's your brand about it, you're doing it genuinely and authentically. If you (or a branding expert you hire) try to push a brand that isn't who you really are, it's going to fall apart. For example, the knitwear designer Frenchie behind Aroha Knits – her business has this very beautiful, elegant, styled in natural materials and soft colors brand, and when she talks in her videos, you can feel it's all very authentic. But if I tried to pull that off? If it would be fake and be So. Much. Work. I just can't be airy and elegant and styled. My branding is bright colors and being honest and being my goofy self. While that's authentically me, I have to actually remind myself of that, especially when I compare myself to others or I feel like maybe I should be X or Y. If you're in a direct selling company, like doTERRA, the company brand stands for something already. But you have to build your own brand – not with a fancy website or anything, but through how you treat every customer, through how you sample people, invite them to learn more. If your brand is aligned with the bigger brand, and if you use the bigger brand to give you focus, you'll do better. Your brand of education and support is going to be what builds trust and creates a community. If you're making your thing and putting it out there, you're going to have a brand. You don't have to “make” one, they occur naturally. Your brand is going to come from your IG, your products, photography, way you write your descriptions. Since you're going to have a brand anyhow, spend a little time thinking about it. The questions I ask in my marketing classes guide you through this. You can get access to my marketing class that goes into Instagram and email in the Starship, which opens in a few weeks. Sign up to learn more at taraswiger.com/starshipbiz. Branding is really important in a business that sells commodities, and if you want to stand out in a crowded marketplace. Be consistent. Choose some colors, your tone of voice, and stick with it. Brands (and businesses) evolve and change, that's ok.
Marketing is communicating with your customers. It includes your brand (what do people think of when they think of you), but marketing is the ongoing communication of both that brand + feeling, and of the products you have. Marketing is everything that creates, keeps, and satisfies the customer. Branding is the feeling, marketing is what you DO that creates that feeling. Marketing is alllll the things you're doing in your business. It's putting things on sale, it's photography, it's what you post and how you say what you say. We talk a lot about marketing, but after we talk about sales, I'll give you a few examples where people get confused about if they need to focus on marketing or sales. Sales are: HOW YOU MAKE MONEY. It's the final step in the relationship that starts with marketing, contains your brand, all of that should lead to people making the sales. It's where you say: Click here to buy this. Here's how you can get this. Would you like to join? You can have the best branding and marketing in the world, but if you don't follow through and focus on sales – nothing. It won't matter. This is ESPECIALLY important in the online world. All your marketing might never be seen, until you focus on sales and you get in front of people. Do people know this exists? What do they need to understand or know before they will want to buy? Understanding these questions has made me better at sales in every area of my business – from the Starship, to book sales, to classes. You can hear more about being better at sales here. I want to reiterate what I said earlier – you're going to do ALL of this with authenticity. People have such stereotypes about “sales”, that they think you have to leave your integrity behind. Of course not! Sales is a natural outgrowth of your brand and marketing. If you make it NOT a natural outgrowth, you're going to be really bad at it. As I said before, just because you're thinking about it and getting better at it, doesn't make it inauthentic. If you feel like it does, or you are thinking “I don't want to do sales”, then honey, you don't want to have a business. A business is sales. If you have started an online shop and you haven't gotten sales or traffic, my #1 recommendation is that you focus on making sales, before you worry with anything else. Get your products in front of people – go do a craft show, do a local farmer's market, approach local shops or galleries. Spend all your time on sales, and in the in-between times, post to Instagram, or start to build your online marketing. But I see a lot of makers spend hours and hours on their online marketing, which takes MUCH longer to turn into sales. So when they don't have sales after 2 or 6 or 12 months, they stop their business and say, “people didn't want what I sold”. Nope, it's that people didn't know what you sold. The social media world has confused us by thinking a big following = a steady business. Nope. Steady sales = a steady business. Now, if you've GOT a big social media following, you can absolutely start a business and start making sales, but my friends and students who have done this tell me that they're shocked by how SMALL percentage of their audience actually buys their thing. If you are making some sales and you're getting real customer feedback, absolutely build an online following, but realize that a small following that actually buys is 100x better than a big audience that doesn't. I'm pretty passionate about this topic, because I've seen so many business owners spin their wheels online instead of going out there and making sales. I have 2 businesses that earn over six figures a year, and you can see on my Instagram, I don't have a huge audience. This podcast isn't in the top 10 or even 50 on iTunes. I don't even have 5,000 email subscribers. So why do people focus more on marketing than sales? Sales is scary. You can be rejected. When you focus on marketing, you're just “putting it out there” and people can either opt in or not opt in. That feels much less risky. When you focus on sales, you're giving people the opportunity to say yes OR NO. And we're afraid of hearing no. But as my mentor told me in the first few months of my doTerra business: You have to get a lot more comfortable being rejected. Ha! Yes! Also, ouch. So how do you know what you need to work on? Almost always you can spend more time on sales. If you've been building piecemeal over the last few years, take a step back and look at your branding. 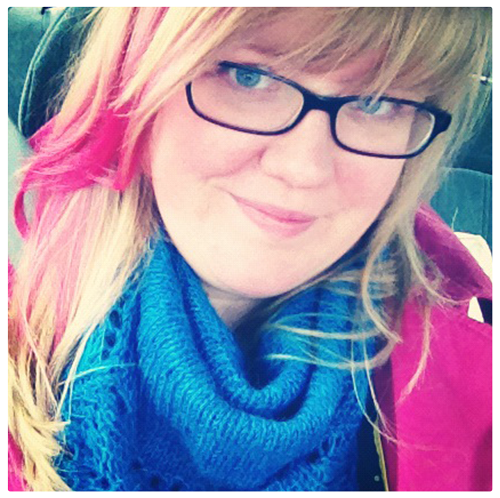 Does your site and Instagram and tone “match” your products? Does it make sense? If you threw your product (and tag) in a pile with others, would people know which is yours? It may be time to think through what you want your brand to be and how you're communicating that. Everything is marketing. If you are posting online regularly, updating your shop, putting labels on your products, you're marketing. Like we talked about in episode 217, focus on your right people and on communicating clearly. If you'd like to work on all three and get my feedback on your branding, marketing and sales, join the Starship! It opens in a few weeks and you can learn more about it by signing up at the bottom of today's show notes or at taraswiger.com/starshipbiz. Such an important episode about sales vs marketing vs branding, and how to do all three!